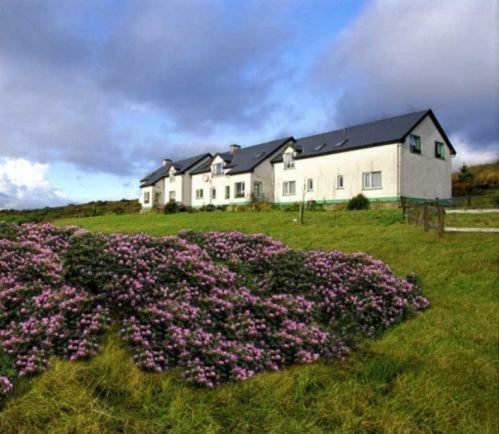 The Moorland Guesthouse is a 15-minute drive from the sandy beaches of Ireland’s West Coast and Donegal. It offers a restaurant, health and beauty treatments and a sauna. The Moorland has rooms with en suite bathrooms and countryside views. The family-run guesthouse has staff which can speak German. There is an a la carte menu featuring international food. Packed lunches can be provided and there is also a lounge with a log fire and TV. Treatments available include massage, reflexology and chiropody. Horse riding, golf and fishing can be arranged for guests. Lower Lough Erne is a 15-minute drive and St Angelo Airport is 20 miles away. Free parking is available at the guest house.